It’s 7:30. The alarm clock on my cell phone rings like it does every morning. 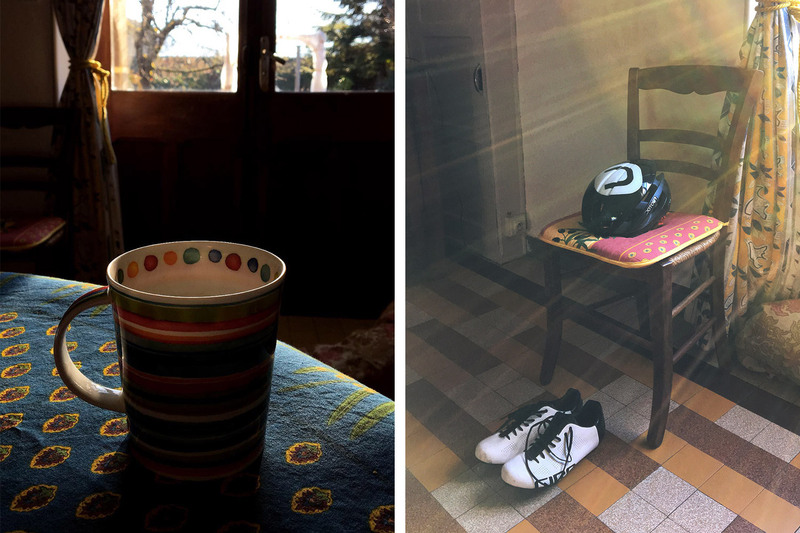 Today I know that I won’t have to get dressed to go to work, but rather to visit my grandmother, and ring in the resumption of cycling for 2018. 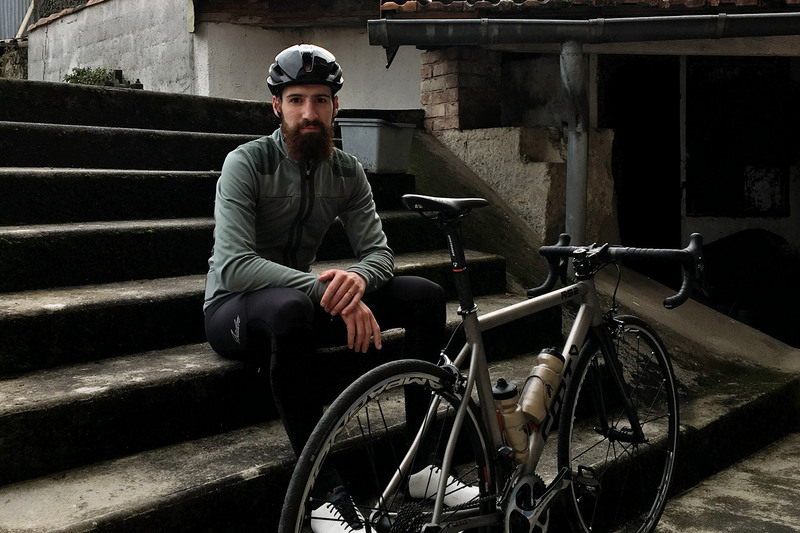 It's been almost two months since I touched my bike, apart from two risky rides with first class French Cycling Federation riders that I had to cut short because my body said S-O-S; so I limited myself to running in order to be physically prepared a little bit and lose few kilos. Jessica, my wife, kissed me, and told me that she couldn’t wait until tomorrow when I get back home, and close the door before going to work. My bag is ready and my bike is too. I don’t feel too bad this morning, pretty good even. 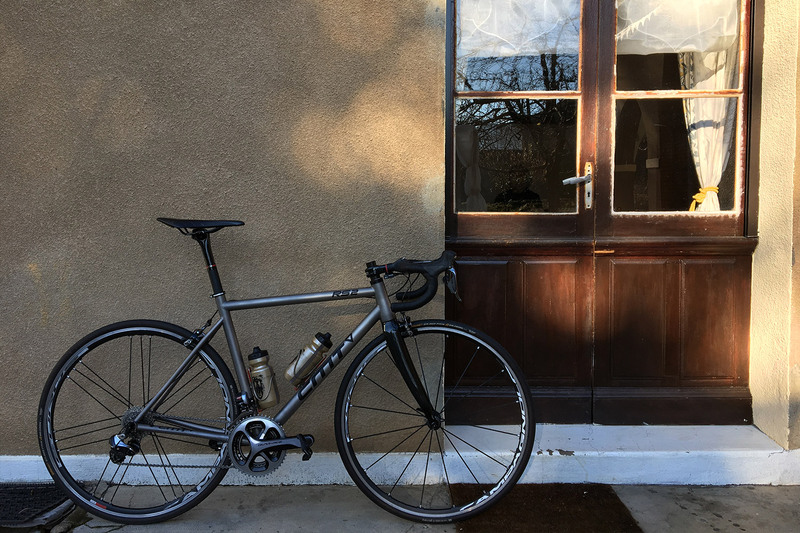 I planned several variants to this ride after thinking carefully to avoid suffering too much, to finish this January GranFondo on the Tour de France roads. I drink a coffee, I bundle, and I load my car. Too bad about breakfast, but I will take strength before riding on the bike when drinking a coffee with Jeannette, my grandmother. I arrive at the stroke of 10:15. The sun is out, as in Toulouse, but the rain must have fallen in the night because the road is soaked. Some squares of chocolate on gingerbread’s slices, a second coffee, and here I go. I made the decision to start out smoothly, having no riding partner and therefore no wheel to take, both save me and moderate my efforts. The goal is to finish this GranFondo. 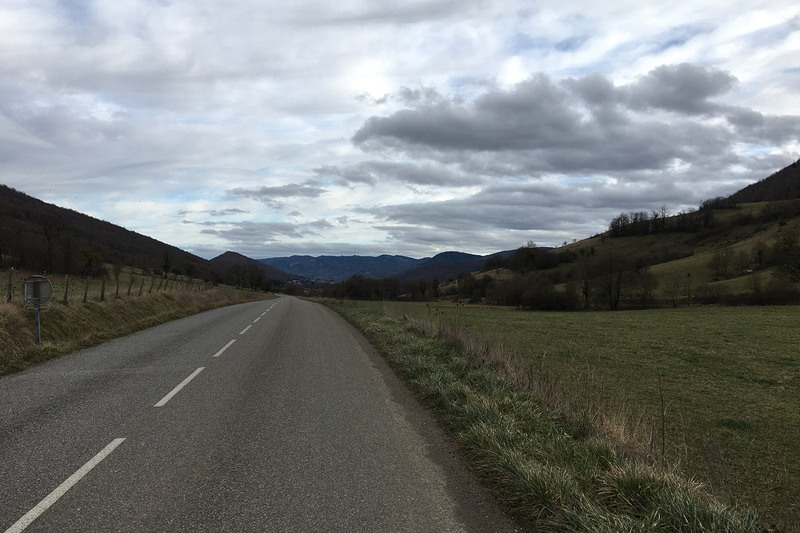 I climbed quietly the false flat section that connects l’Aiguillon and Lavelanet, then I leave the main road to take the less known Route de Raissac to reach Foix without too much interference. This road is calm, few cars, the only drawback is that it is not flat; it goes up and down constantly, but no craziness, at a reasoned pace. 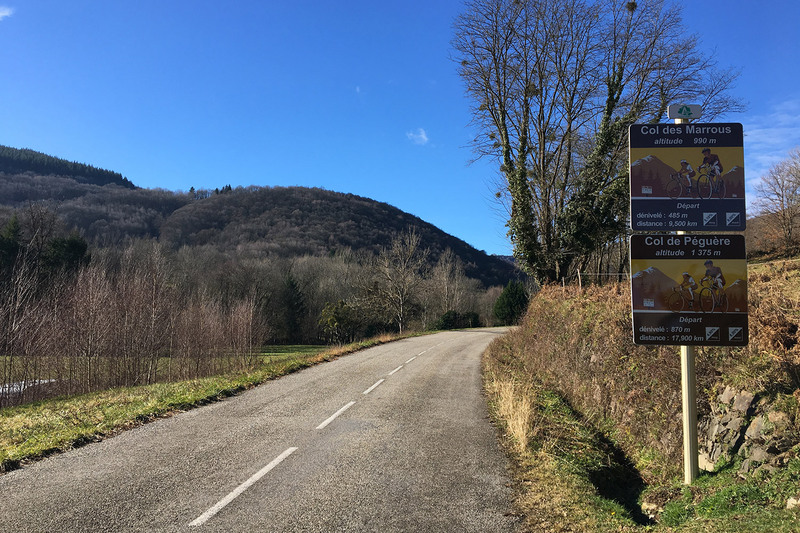 I stay between 80 and 100 rev / min and 30 kilometers further along, the castle of Foix can be glimpsed by joining the avenue Georges Clemenceau. Foix was the arrival city of the shortest stage of the Tour de France 2017 on July 14th (Bastille Day, the National Day in France) where we had the pleasure to see Warren Barguil win in front of Nairo Quintana and Alberto Contador. The city center of the city is still congested by cars and I must unfortunately be patient to reach the other end of the city towards Saint-Pierre-de-Rivière and Col des Marrous. 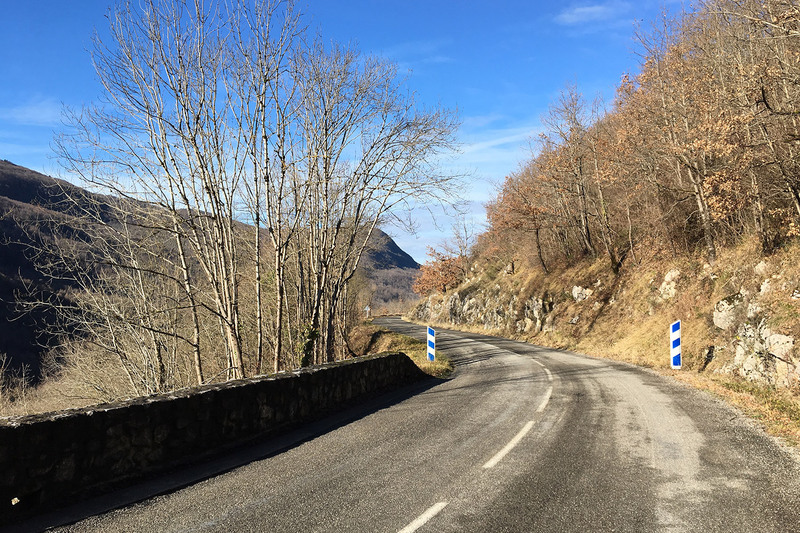 This is probably the Col I know the best, it is quite short, rather stubborn and if you feel it, you can even push to the Col de Péguère 8km further along. 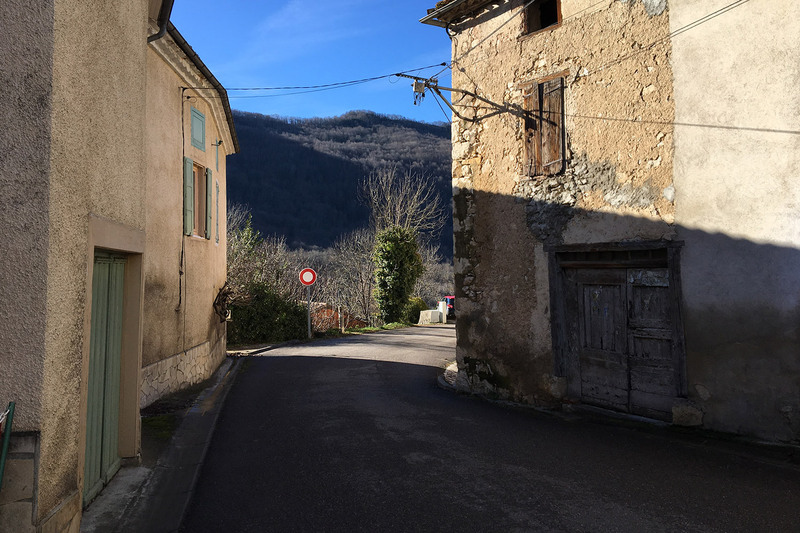 It is not without difficulty that I arrive at the Auberge des Myrtilles, which sits next to the sign post for the "Col des Marrous". 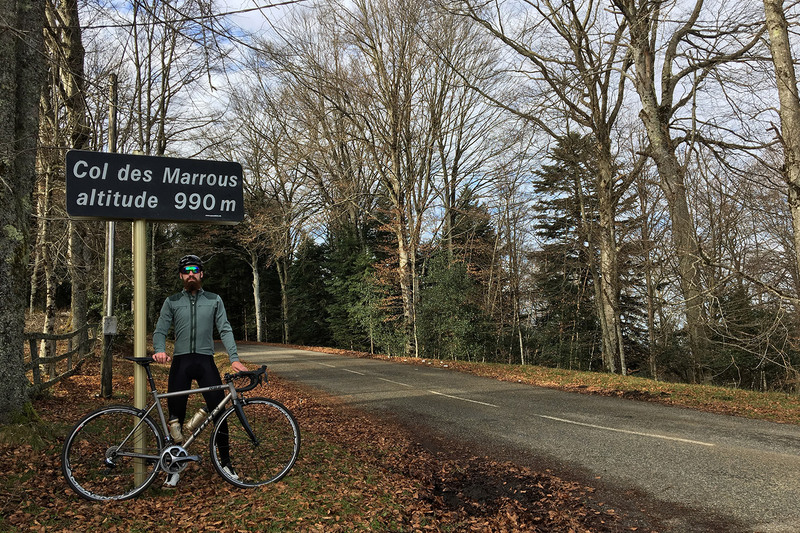 Take a souvenir photo as usual, eat an energy bar, and here I go again to tackle the next climb. Only a few hundred meters, and I already see snow on the side of the road. This is not the first time I have seen it here, but even if the road over pass was reported closed, I thought that at least it must probably be cleared. The more I dive into the forest, the more dense the snow becomes on the surrounding vegetation and on the edge of the road. 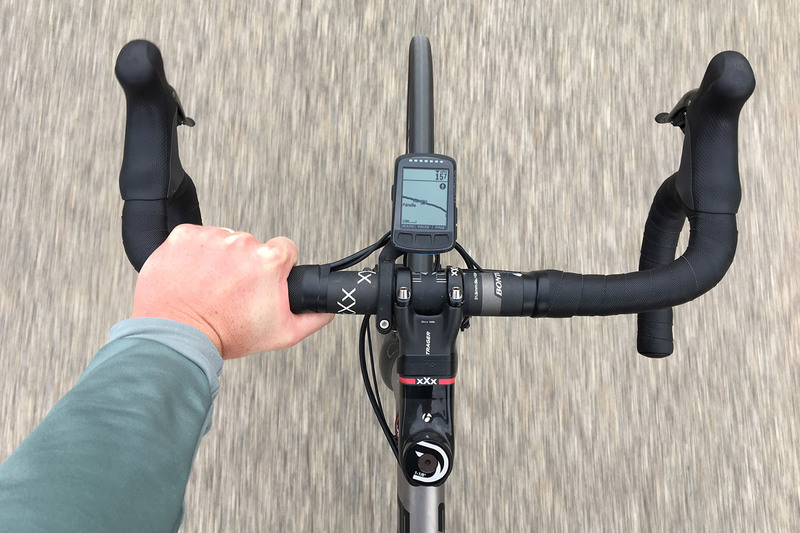 The scenery is beautiful, the pedal stroke is always light since I aim to keep a high pedaling frequency to avoid getting tired and drawing on my reserves. 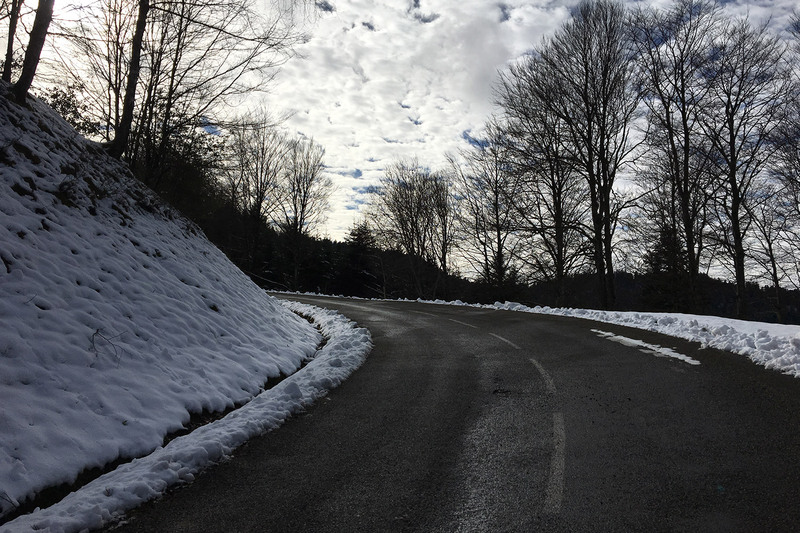 4km from the summit, a dramatic turn of events: the road becomes completely snow-covered, and it’s impossible to continue! 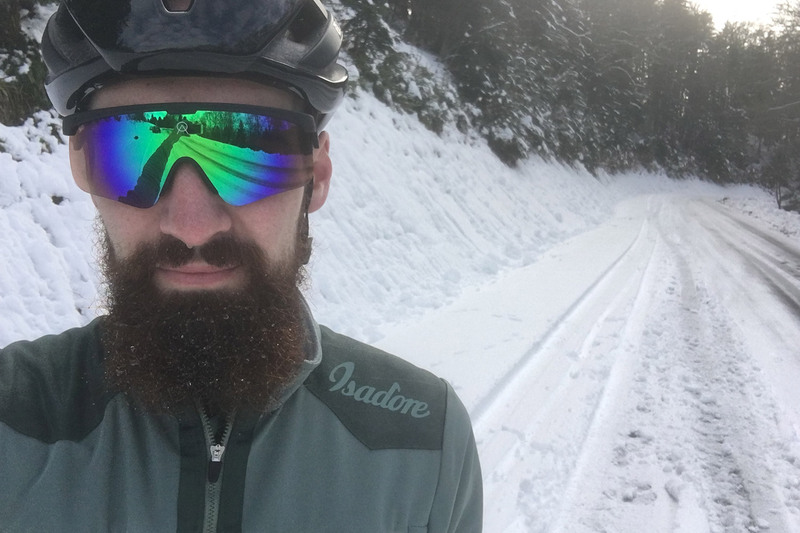 At the junction with Legrillou, the members of the County Council decided not to continue the work of snow removal, meaning it would be dangerous to continue. Particularly because he who climbs must also descend. Time to immortalize this fantastic landscape with a few pics, and here I am resigned to taking the same route in the opposite direction. 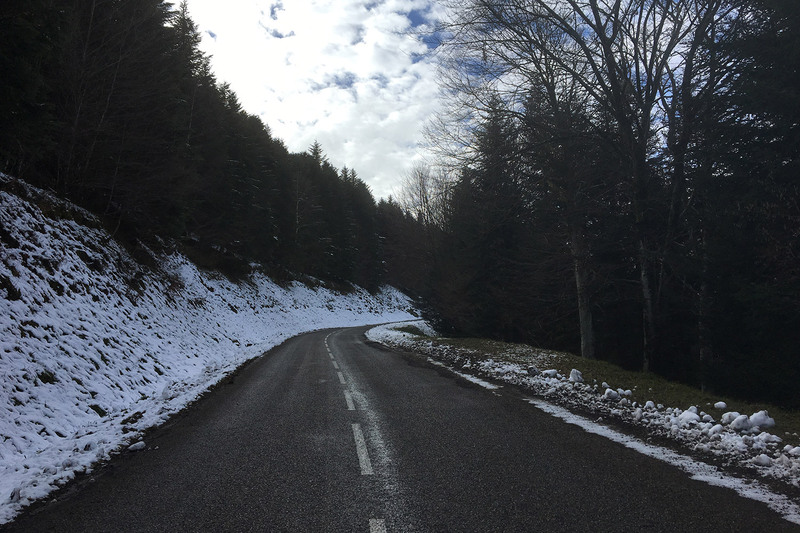 I put on my gloves to descend down to Foix; with the speed, temperatures that were already not very warm seems polar. 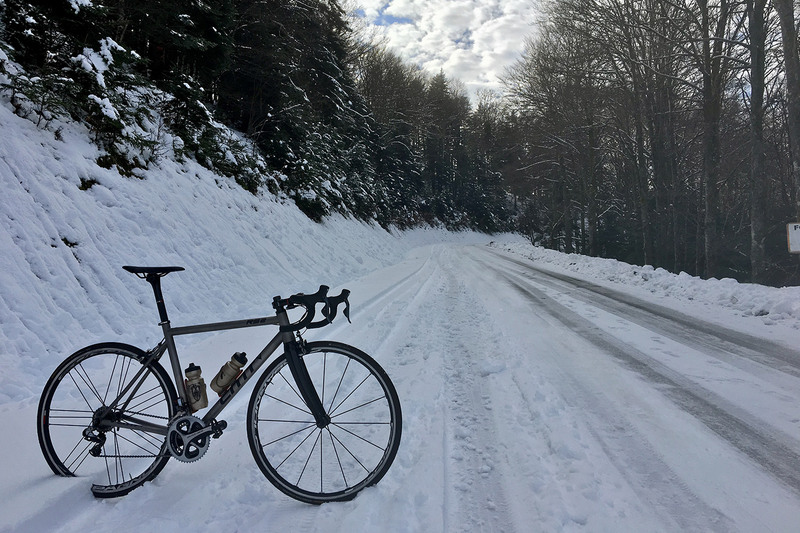 I try to be careful because the risk of ice and the shaded road do not mix well. I even consider stopping to have a coffee in Foix to warm me a little bit. 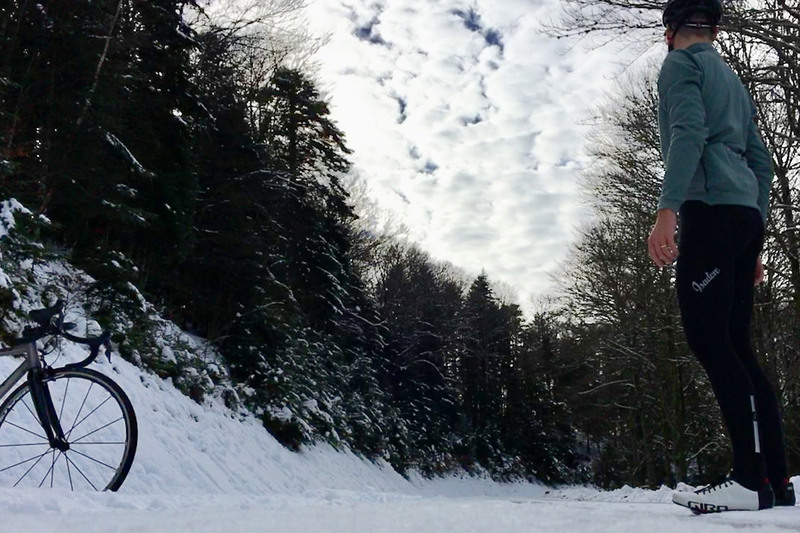 Finally a series of accelerations on the false flats descending between Saint Pierre de Riviere and Foix did the trick and warm me up. I eat one last energy bar before tackling the last difficulty of the ride and the last 30km: la route de Raissac. I catch up to groups of cyclists and pass them without a hitch. The undulations pass by pretty easily, and I arrive at Rappy feeling good. 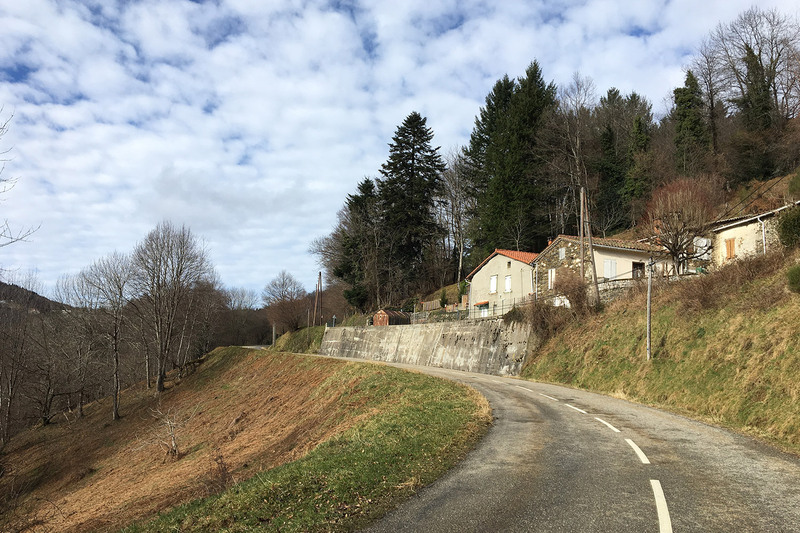 A last effort to cross Lavelanet, and the descent to the Aiguillon is punctuated by pretty roads winding through the conifers, and here, after logging 103km on my Wahoo Element, once again back at Jeannette’s!